Home / Political News / Rotimi Amaechi betrayed Odili, betrayed Obasanjo, betrayed Jonathan, betrayed PDP and betrayed Buhari...Femi Fani-Kayode. Rotimi Amaechi betrayed Odili, betrayed Obasanjo, betrayed Jonathan, betrayed PDP and betrayed Buhari...Femi Fani-Kayode. Femi Fani-Kayode, a former Minister of Aviation, has reacted to the controversy over a leaked tape by the Minister of Transportation, Rotimi Amaechi where he allegedly criticised President Muhammadu Buhari. An audio, released by former aide to ex-President Goodluck Jonathan, Reno Omokri, had quoted Amaechi as criticising the President. Reacting, Fani-Kayode described Amaechi as a betrayer. In a tweet, Fani-Kayode said nothing less should be expected from a man who betrayed Jonathan, ex-Rivers State Governor, Peter Odili and ex-President Olusegun Obasanjo. 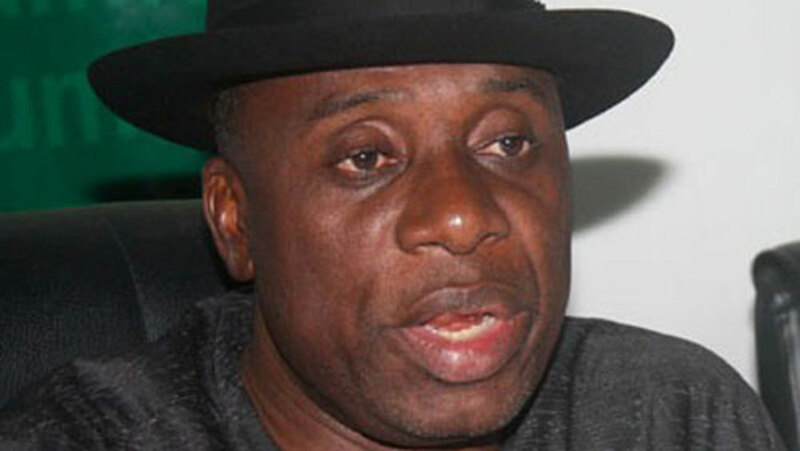 “Rotimi Amaechi betrayed Odili, betrayed Obasanjo, betrayed Jonathan, betrayed PDP and betrayed Buhari. “What else do you expect from the son of a palm wine tapper. No character, no class, no dignity, no honor, no self-respect, no loyalty. He is nothing but filth and I pity him,” he tweeted.